This week we'll tackle a type of dynamics processing that was used all the time in the analog days, but, bizarrely enough, doesn't get called upon nearly as much in the all-digital era. And yet it's a formidable tool whose possibilities are much wider than they seem at first glance. Let me introduce you to the noise gate. As its name implies, the noise gate is a processor that allows you to suppress noise. However, that's a rather reductionist way to look at it, to say the least. 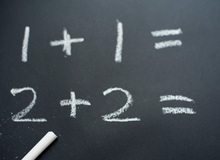 We'll focus here on the most common parameters available in this type of processors. 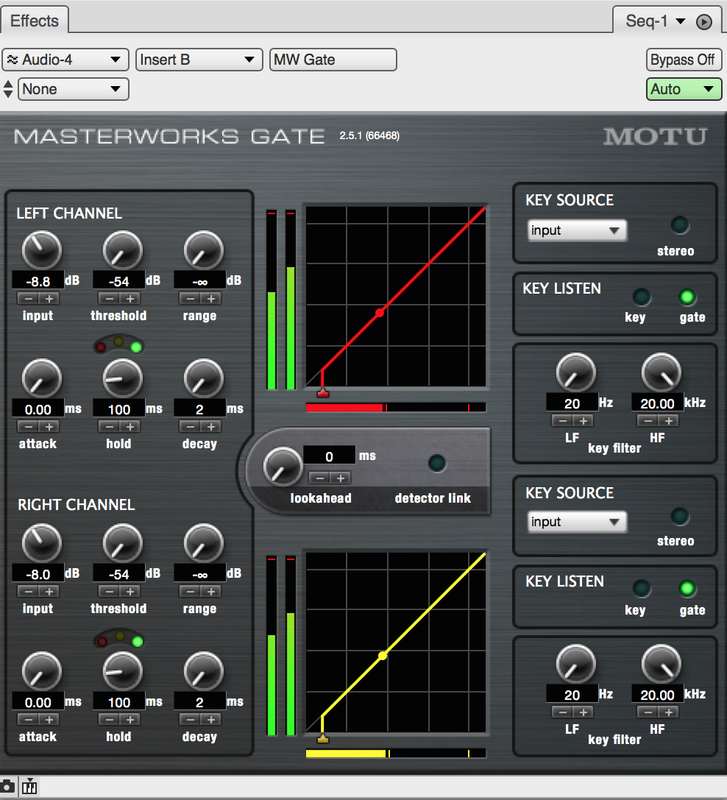 First of all, a noise gate features a Threshold control, which determines the level above which the gate lets sound through. In other words, all sounds below the threshold are more or less reduced to silence. A noise gate that's worthy of its name also features a Range parameter, expressed in decibels. This parameter determines how many dB the signals bellow the threshold are reduced. Then you have time constants. The Attack time defines how fast the gate opens once the threshold has been exceeded. The Release time determines how much time it will take the signal to be reduced to the value specified with the Range parameter once the signal drops below the threshold. But be careful. Similar to the time constants of a compressor, the Attack time is not the time the gate waits before letting through the signal; it's the time it takes the signal to go from the attenuated level to its normal level. Conversely, the Release is the time it takes the signal to go from its normal level to the desired attenuation level. Some advanced noise gates also feature a control called "Hysteresis." This weird name conceals a particularly interesting function. To understand it you first need to know that the sidechain of most gates is designed to detect peaks. However, if you only consider the peaks. signal level variations can be extremely fast, which can result in the gate constantly opening and closing, creating a very unpleasant effect. The Hysteresis parameter tackles this issue by setting a threshold level a couple of decibels below the actual Threshold. To put it in clearer terms, if the Threshold is set to -30dB and Hysteresis to -10dB, the gate will open at -30dB but it will close at -40dB. Another common parameter is "Hold," a period of time during which the gate remains open once the signal drops below the threshold. Once this time has elapsed, the Release phase begins. This parameter is particularly interesting to preserve the natural decay of a sound. 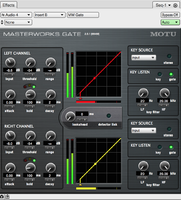 Some gates also feature a "Look-ahead" function, which allows the sidechain to "look" at the signal slightly beforehand. This way, the gate can prepare itself in advance, in order for the result to be more natural and musical. 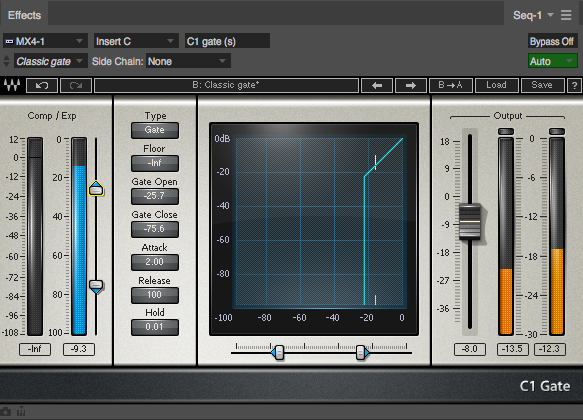 Finally, like with compressors, it's not uncommon to find filters for the sidechain or the possibility to control the gate with an external signal and not with the one being processed. In the next episode we'll look at the different possibilities to use a noise gate.